Too often people think it’s the Africa of huts. They don’t know there are skyscrapers, they think electricity is only for the wealthy. The stereotypes need to be broken: There so much wealth, Africans want to buy, but they can’t access the retailers. People also don’t realise how brand conscious Africans are, it seems to surprise them. I grew up reading GQ magazine. I went to boarding school and on the inside of my locker I had pictures of watches and shoes cut out of the magazine. The kid next to me had pictures of jeans and clothes. In Africa there are a lot of cultural influences from social media, pop stars and elites. People are heavily influenced by Western branding and marketing – when a James Bond film came out with him wearing Tom Ford sunglasses, everyone wanted them. Status symbols go a long way in Africa: People are very status conscious and are willing to pay for it. Africa hasn’t had a platform that those outside can trust and go to. So we presented the idea to DHL as a way to help African artisans expose themselves to the rest of the world and improve lives in the process. There’s no better way if you want to improve things for generations to come. Imagine waking up in a tiny flat in a not-good part of an African city, where you are not making much more than US$100 a month, but you can also sell your product in New York. Having access to that market could be a huge help to a family where $5 is worth a lot more than it is elsewhere. 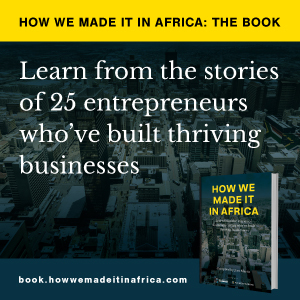 Until now people have never had this opportunity, but this platform can help African artisans sell their African-made products to the rest of the world. Marketplace Africa enables artisans to sell the likes of fashion items and crafts to buyers in any of DHL’s 220 delivery locations. We’ve got it running in seven African countries and hope to eventually cover the whole of Africa. People who want to connect with the continent and appreciate its differences [compared to the rest of the world]. There are many African diaspora that want to come back home or want to have that linkage – they don’t want to lose their heritage. Then there are non-Africans who travelled in Africa, and afterwards have an opportunity to buy and help businesses – there’s an element of ethical buying to support the places they liked. And then there are people who have seen artistic things like Ethiopian paintings and realise how amazing and talented the artists are, and so really want one on their wall. But it can be many other sorts of people too as knowledge about Africa spreads and we get people to know these websites exist.